1200mm floor panel installation on site. 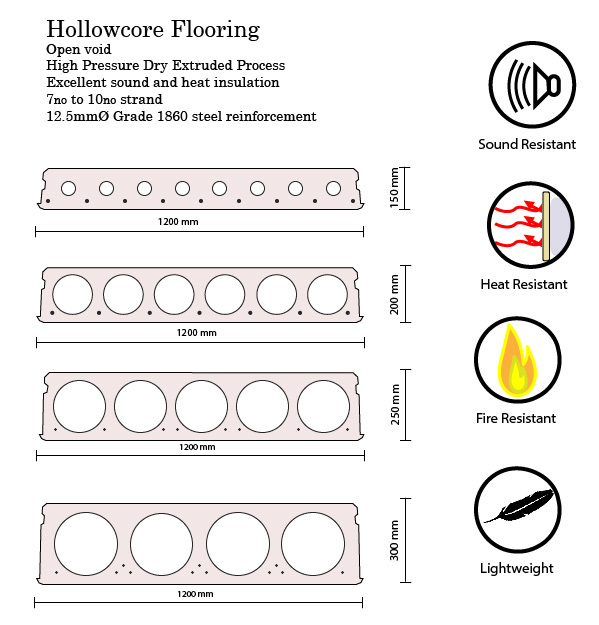 O’Reilly’s Extruded Hollowcore Concrete Flooring uses an innovative high pressure dry casting system in our factory in Belturbet, Co. Cavan. This ensures a uniform high quality product. 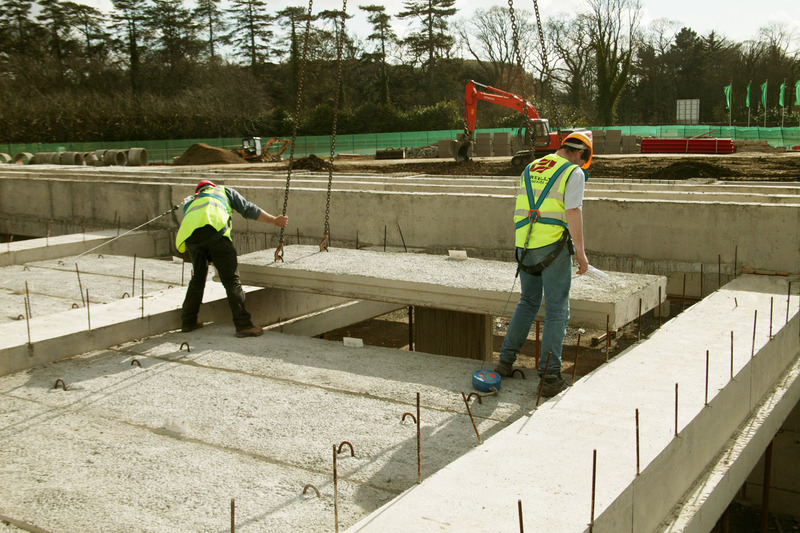 All our precast and prestressed concrete products are designed, manufactured and installed by highly qualified personnel who form the team at O’Reilly Concrete. 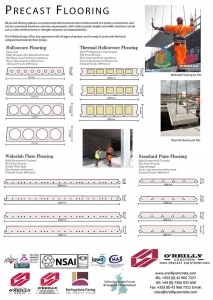 When faced with demands for innovative applications in complex construction projects our design team liaise with architects, consulting engineers and main contractors to produce the best engineering solution. All our products are manufactured using the most up-to-date computer aided technology which ensures a very high quality finished product. When it comes to delivery and installation our well motivated and skilled work force will operate in a fast and reliable manner.